How to embed YouTube videos in my course? Step 1: Go to "My Courses". Step 2: Click on "Edit Course". Step 3: Click on "Embed Media" in the Course Description box. 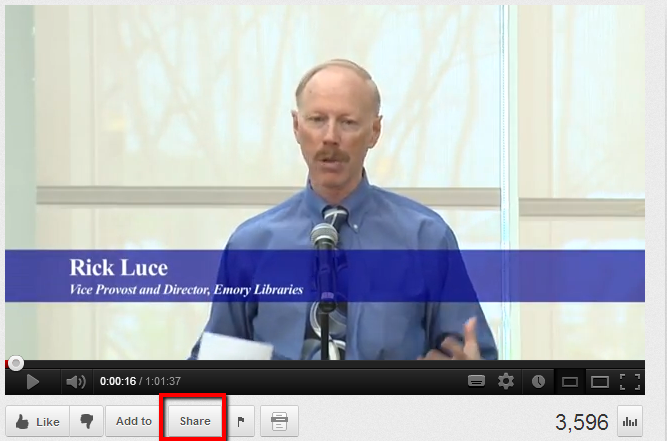 Step 4 (i): Go to a page on YouTube that has your video and click on "Share". Step 4 (ii): Click on Embed and check on "Use old embed code" and uncheck "Include related videos" and "Enable privacy-enhanced mode" options and copy the embed code generated. 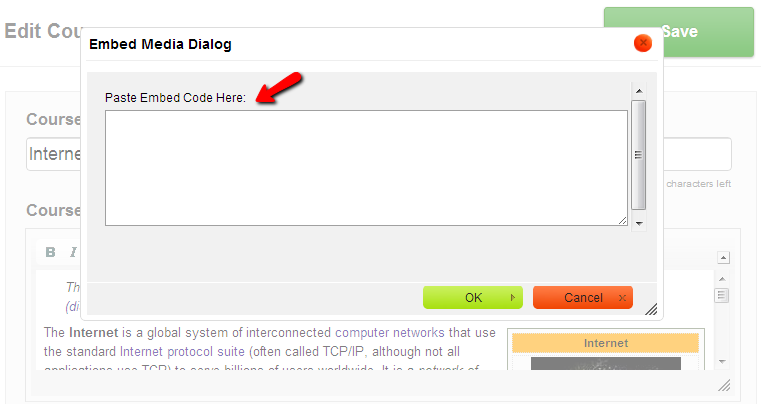 Step 5: Now, paste this embed code in the box and click on "OK". Step 6: Save changes and check to see if the YouTube video has been added to your course.